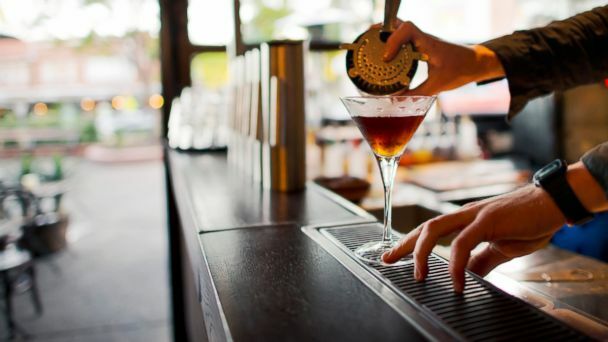 A leading British neuroscientist says he has developed an "alcohol substitute" that mimics the drug's euphoria, which, when followed with an "antidote" chaser, makes users instantly sober without the threat of a hangover. Prof. David Nutt, director of the neuropsychopharmacology unit at London's Imperial College, said he was motivated to find a safer alternative to alcohol and has been experimenting with new compounds on himself. "In theory we can make an alcohol surrogate that makes people feel relaxed and sociable and remove the unwanted effects, such as aggression and addictiveness," Nutt wrote of his findings in the Telegraph. Nutt said he has identified five compounds that target the same neurotransmitter system in the brain that responds to booze but now needs "to test them to see if people find the effects as pleasurable as alcohol." Once an ideal compound has been identified, Nutt wrote, it will be easy to synthesize an antidote capable of instantly reversing the drug's effects. He has already begun sampling the new drugs on himself. "After exploring one possible compound I was quite relaxed and sleepily inebriated for an hour or so, then within minutes of taking the antidote I was up giving a lecture with no impairment whatsoever," he wrote. Nutt said he is already in touch with alcohol manufacturers about producing the substitute and is working on ways to flavor the drug to make it appealing. Distillers, he said, are not currently interested in production, but much like traditional cigarette makers began producing e-cigarettes once there was sufficient demand, he said he believes alcohol companies will eventually begin producing substitutes.